Hakuba and Otari offer an incredible variety of activities to enjoy throughout the year. From adventure sports to traditional arts and crafts, there is something here for everyone. Pension Folktale is located on the Hakuba Norikura ski field, which links up to Cortina ski field. Tsugaike is just a couple of minutes down the road. 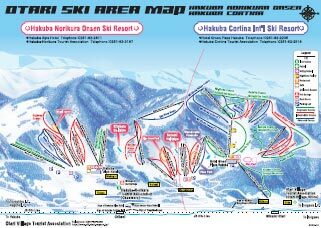 These are the ski fields at the Otari end of the Hakuba Valley, and combined, they offer an incredible variety of ski terrain suitable for all levels of skier and boarder. This area is the hidden gem of Hakuba for real nature and powder lovers. It gets the most powder snow of anywhere in Hakuba. Also, it gets the least crowded. You can often ski fresh tracks around here all day long, especially on weekdays. Lift tickets are available at a discount from us. Mr Suzuki is a qualified and very experienced backcountry guide. He runs backcountry tours throughout the season and is always happy to show guests some hidden spots that will make you grin from ear to ear. There is so much incredible backcountry around Otari that it's an experience that should not be missed. Prices for his backcountry tours start at just 15,000yen. Mr Suzuki's backcountry tours are very popular, so if you are interested in venturing into the backcountry yourself, but want to do it safely, it is advisable to book via e-mail well in advance of your arrival. Tsugaike offers heli skiiing and heli boarding. It is the only place in Hakuba where you can do it. The service starts from around mid/late February each year. Timing depends on the stability of the snow conditions. Cost is around 12,000 yen per flight and it's a great way to experience carving your own line that is off the beaten track. Mr Suzuki is a highly skilled telemark skier, and provides telemark skiing lessons. If you would like to improve your style, or simply give telemark skiing a go, let us know. Mr Suzuki is a wonderful instructor. The Northern Alps of Japan is the gateway to some of the best and most famous hiking in Japan. We could fill an entire website talking about local walks and hikes around here, many of them world class! Walks from as short as an hour or two, up to very serious mountaineering courses that can take 4-5 days. Needless to say, the hiking around here is spectacular! One very easy walk is the Tsugaike Nature Park. Open from spring through to autumn, this is an easy walk for almost anyone, and should not be missed! Alternatively, there are some great overnight hikes. Join Mr Suzuki on one of his hiking tours, or we can drop you at the starting point for you to venture out on your own. Many people feel onsen is one of the best things about Japan, and there are 2 onsen within just 5 minutes walk of Pension Folktale. Both are real onsen using natural mineral water as compared to many of the heated baths using mains water found in other parts of Hakuba. 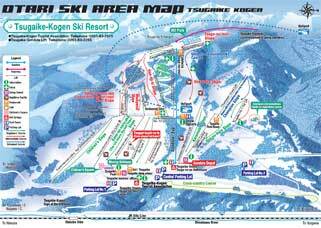 There is also an onsen at Cortina ski field and 2 onsen at Tsugaike. You can try them all during your stay. Slightly further afield, there is a very beautiful fully outdoor bath in the forest on the other side of the valley at "Otari Onsen" that can only be accessed in spring, summer and autumn. It takes around 25 minutes to drive to that one, but if you have your own car, it's well worth the trip! In late spring, summer and autumn, tennis is a wonderful option. There are many tennis courts around Otari and within easy walking distance of Pension Folktale. Many of them are situated in beautiful surroundings overlooking the mountains, forest or surrounding rice fields with truly breathtaking vistas. As a general rule of thumb, it's 1000 yen per hour for court hire. Paragliding has become a popular sport around Hakuba, particularly at Tsugaike and Happo One. It is very easy to arrange a trial lesson if you are interested, the cost of which is around 8,000 - 13,000 yen. For experienced pilots, equipment can easily be hired.